Mavic 2 Pro with Hasselblad camera5 Made in Sweden, Hasselblad cameras are renowned for their iconic ergonomic design, uncompromising image quality, and Swedish craftsmanship. Since 1941, Hasselblad cameras have captured some of the world’s most iconic images – including the first moon landing. Co-engineered in partnership with Hasselblad after two years of tireless research, the Mavic 2 Pro comes equipped with the all-new Hasselblad L1D-20c camera. The L1D-20c possesses Hasselblad’s unique Hasselblad Natural Color Solution (HNCS) technology, helping users to capture gorgeous 20-megapixel aerial shots in stunning color detail. 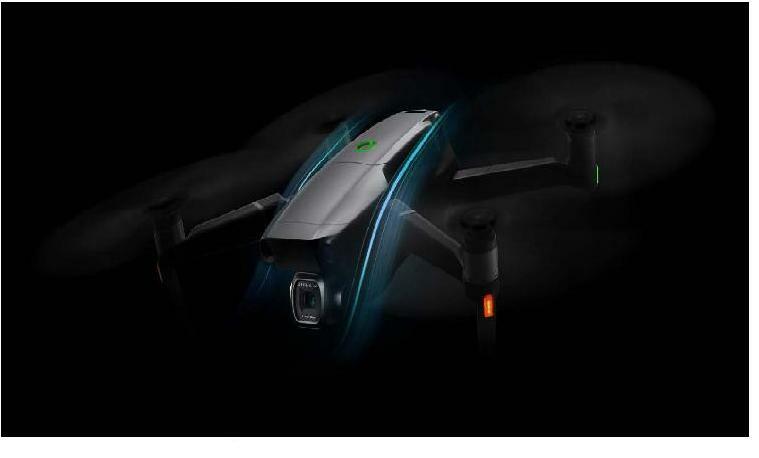 1-inch CMOS Sensor The brand new 1-inch CMOS sensor has an active sensing area four times more effective than the original Mavic Pro. The large sensor also means better performance in low-light environments with a more extensive ISO range, max ISO lifted from 3200 to 12800. 10-bit Dlog-M Color Profile The Mavic 2 Pro supports a 10-bit Dlog-M color profile that yields higher dynamic range for more flexibility in the grading room. The system records over 1 billion colors (compared to the 16 million colors from traditional 8-bit color coding technologies) and retains more in-depth details in both highlights and shadows. Now you can capture the subtlest gradations at sunset or sunrise, leaving greater space for post-production. HDR Video With 4K 10-bit HDR support, the Mavic 2 Pro can be plugged into a 4K TV with HLG and will immediately play back footage with the right color tones, including brighter highlights and increased contrast that make HDR so appealing. Adjustable Aperture The f/2.8-f/11 adjustable aperture delivers outstanding image quality both in high and low light environments. When shooting in low light, set the aperture to f/2.8 to allow more light in and to capture bright and clear photos. When shooting in well-lit environments, set the aperture to f/11 to lower the shutter speed and make your videos smoother.